Affordable selections of distinctive iron doors, meticulously hand forged and finished are available on almost any wood door - check out these examples. 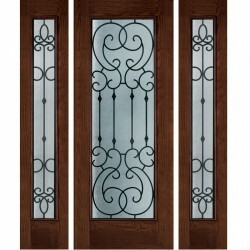 We will help design your custom door your way! (see the images above for optional details like wood ..